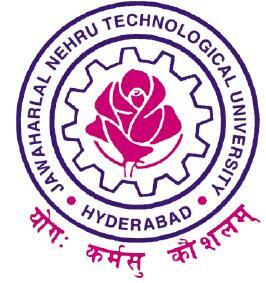 JNTU Kakinada issued notification to apply Original Degree OD. Here we Give Step by Step Procedure to Apply for Original Degree (OD) through online, How to apply for a OD, jntuk od status, jntu kakinada Original Degree online apply guidelines. Document 2:-Secondary School Certificate(SSC) – (in pdf and size between 50 kB to 300kB each). Document 3:-Provisional Certificate obtain from the University(PC)- (in pdf and size between 50 KB to 300KB each). (Plz Verify the Student Name,Student Fathername printed on Provisional certificates as per SSC. Document 5:-All Semeter Marks Memos for P.G. Courses – (in pdf/Zip/Rar and size less than 500kB). Document 7:- Recent Passport size colour photograph (in jpg/jpeg format and size less than 200kB). Personal details in online-application after the next day of bank payment after 12PM. Candidates those who are applying for the PC and migration certificate are requested to upload the personal details after one week of the bank payment. Candidates are requested to upload details within 15days of the bank payment. Candidates those who are not uploading the details within 15 days are kept pending. Once OD is printed, your details are removed from the database. Caps,hats and dark glasses are not acceptable. Regligious headwear is allowed but it must not cover your face. the image must be save with jpg format. This application is meant for The candidates who are passed outs from Jawaharlal Nehru Technological University Kakinada during the years (2009,2010,2011,2012,2013,2014,2015,2016) and obtained their Provisional Degree & CMM certificates are eligible for applying Original Degree certificates. The students have to pay the amount in respect to the year of passing. The online original degree application fee amount can be paid either by online Payment (using Master/Visa Credit/Debit (ATM) cards) or by making the payments at any branch of SBI using the online Challan generated through this Online original degree Application. Enter the details of certificate type,Hall-ticket no,Payment Ref. No know as BANK DU NO. Document 3:-Provisional Certificate obtain from the University(PC)- (in pdf and size between 50 KB to 200KB each). The Candidate has to upload Educational Details(like PC,CMM,SSC,PHOTO) and Personal details in online-application after the next day of bank payment. After successful completion of application, the application will be given a unique application number. Quote this application number and maintain the Generated Application form for further correspondences.